Can I recycle wine bottle closures? About 55 million cases of bottled wine are sold in California each year. 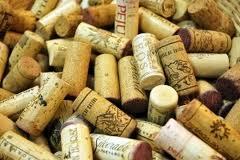 Of those, about 70% are closed with cork stoppers, 16% with metal screw tops and 14% with plastic, according to Amorim, the Portuguese cork supplier that runs the cork-reclamation group ReCork. Most wine stoppers are wrapped in “foil” that covers the top of the bottle, some of which is made from a mixture of lead and tin (on some older bottles, because that wrapper was banned in 1996 by the Food and Drug Administration); other covers are made from polylaminate aluminum and most from a heat-shrink plastic — usually polyethylene or polyvinyl chloride, a.k.a. 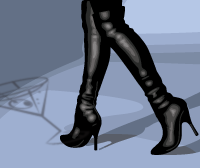 PVC. In L.A., the foils, or wrappers, are not recyclable because the many materials from which they are made are too difficult to distinguish. The only exception is the metal wire cages on champagne bottle tops, which are recyclable. As for the stoppers, aluminum screw tops can be recycled. Plastic stoppers can be recycled as well, but only if they are marked with a chasing arrows symbol. Natural cork cannot go in the recycling bin, nor is it compostable in the green waste bin because it doesn’t break down fast enough in the city’s composters.